Kotobukiya’s Facebook Page has added a sketch for their next Marvel Statue. 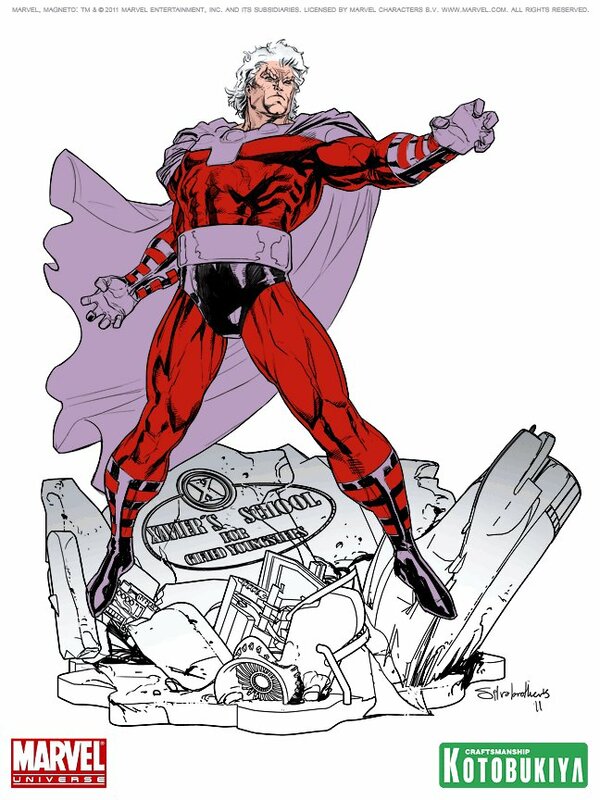 the new statue will be the master of magnetism himself; Magneto! 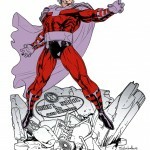 The statue has Magneto standing triumphantly amid the rubble of Xavier‘s school. This is only the sketch, but I’m sure we’ll see the first statue photos sooner rather than later. Not really into this set, but it does look cool. It really got me thinking about how well an X-Men movie will do without Wolverine in it. As much as I love Logan, I think he's over-saturated and over-exposed. In fact I'm surprised there's not more of a backlash against him these days. Ok, I haven't heard anything about this movie. Mainly because I haven't really looked. But why does Xavier have hair and look like he's a new recruit? X-Men: First Class is a prequel to the X-Men movies. It is supposed to show Xavier and Magneto when they were still friends and colleagues, and the creation of the Xavier Institute. It also introduces the Hellfire Club as the big bad for this movie and supposedly ties into part of XMO:W story as well. Basically it's supposed to show how the school got started, why Charles and Erik had their falling out and the beginning of the Brotherhood. I'm guessing it will also set up the possibility for more films with the new cast (but all still take place before X-Men 1). Oh! I see now. Thanks for the info, guys. who buys these? seriously? and the superhero squads? I mean they make a s__load of characters, but they're incredibly juvenile and foolish, in my humble opinion of course. From what I can tell, they have a pretty rabid following. 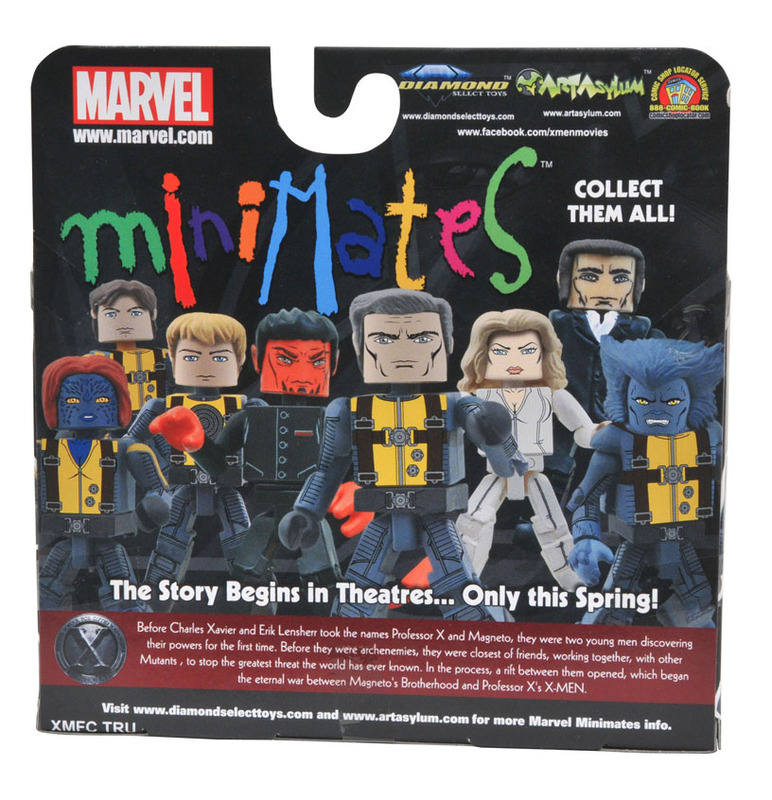 Not as big as a main toy line, but they do sell reasonably well.